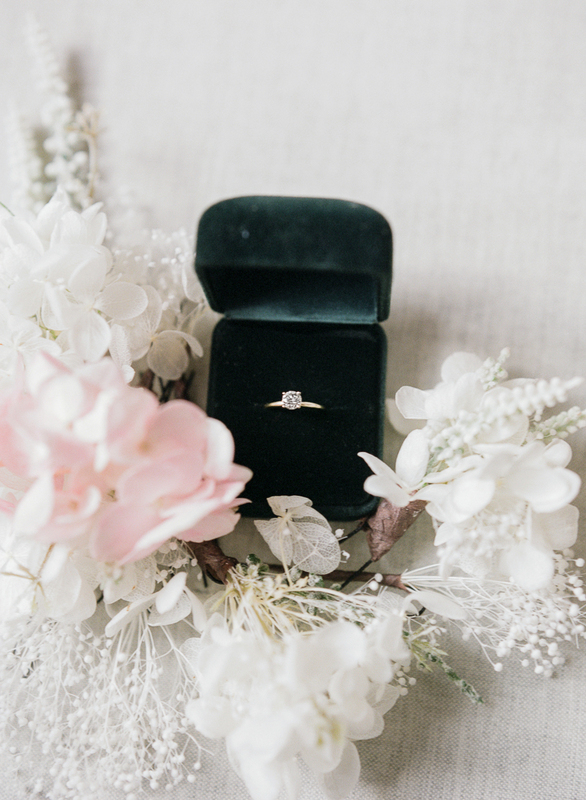 I know I’ve been slacking on updating the blog, especially when I have so many amazing weddings and other shoots to share but life has been quite hectic with our new pup, Mipha. 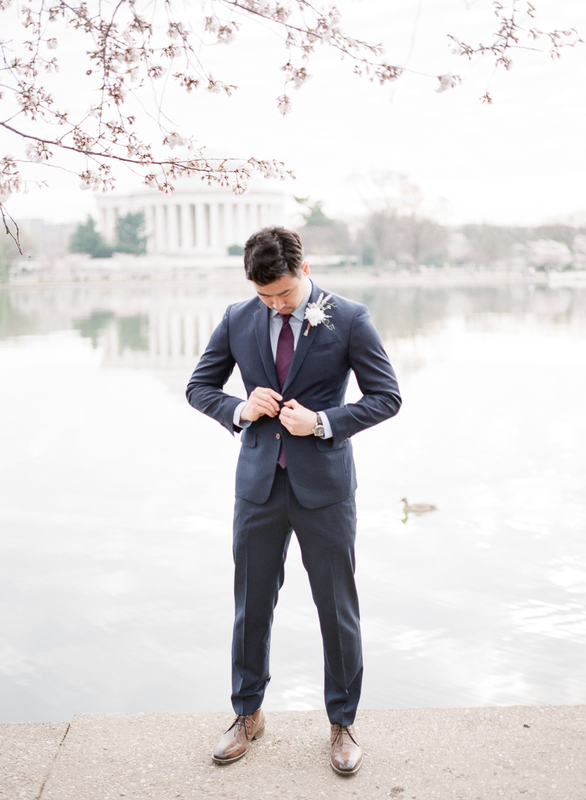 Enough with the excuses – I want to share this amazing engagement session at the Tidal Basin during the peak bloom period of the cherry blossom trees! 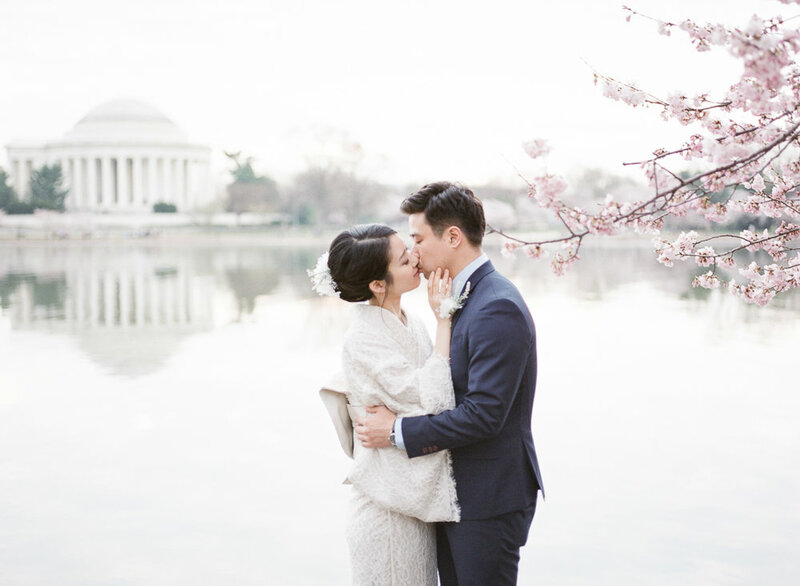 Naoko and Josh’s story is a real love story that was scripted like a movie. On a plane from Taiwan to Japan, Josh met Naoko by chance (or fate! ), and they chatted about Japan. Josh was visiting Japan on his own for the first time, and Naoko was offering tips and suggestions on places to visit and food to eat. Upon landing, Naoko even helped Josh to find his hotel! Josh knew that there was something special about Naoko and asked right away if she would like to show him around the city during his visit, and just like that, a spark was ignited. They kept in touch even after Josh went back to the US for work, and Josh knew that he wanted something more than just friend so he asked Naoko out. 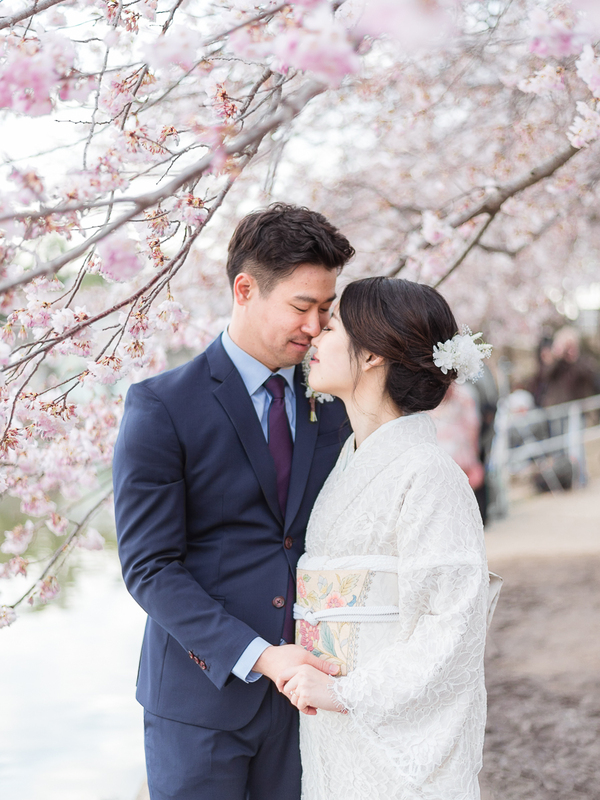 Through three years of long-distance relationship, meeting on the west coast when Naoko came to the US to study, Josh traveling to Japan to see her, and finally settling in Atlanta, Josh made it official last year during a trip to Japan and asked Naoko to marry him, and the rest is history! 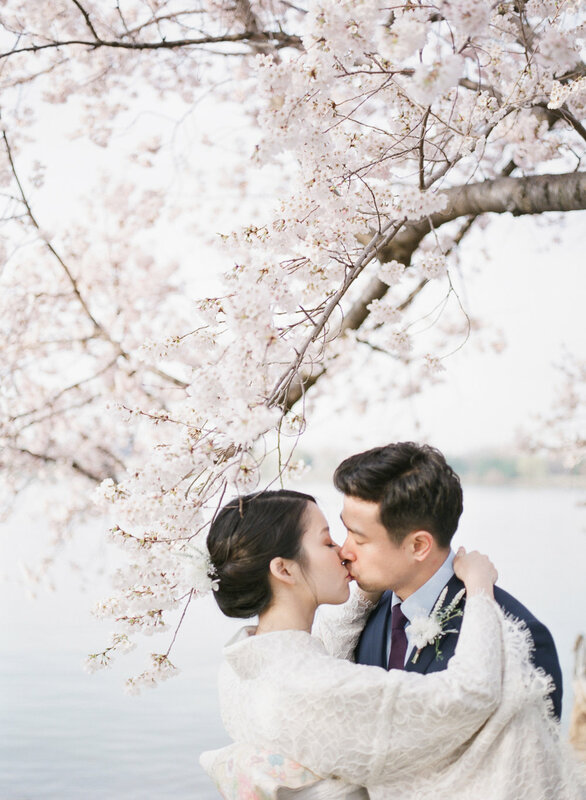 Naoko and Josh flew into DC from Atlanta on Friday and enjoyed the sights of puffy white cherry blossoms around the Tidal Basin, had dinner and got some good night rest. The next day, they got up way before the break of dawn to get ready, and we met before sunrise to make sure we have a great spot. 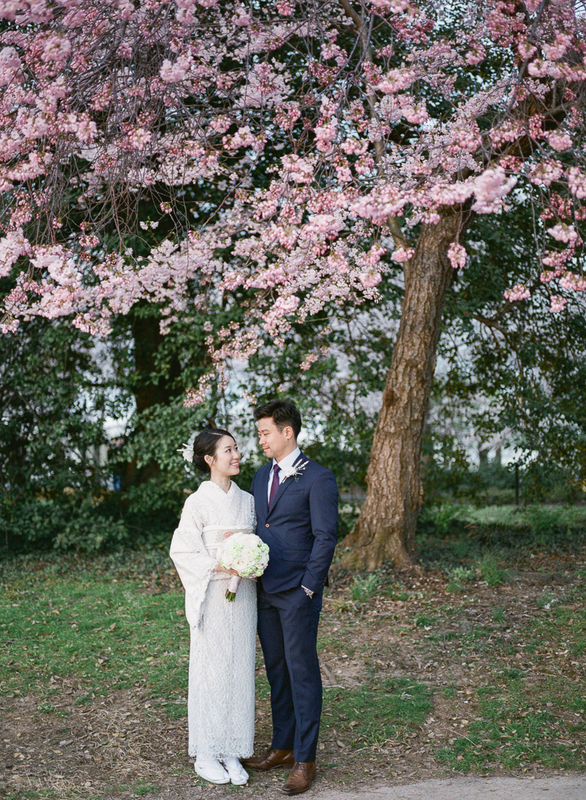 Naoko came with her unique white laced kimono from Japan with hair accessories made personally by her mom, while Josh wore his navy suit and a boutonnière that was also made by Naoko’s mom. Though we were greeted by a sea of people, Josh and Naoko were cracking jokes here and there, and made the session so much more fun than anything! At the end of the day, it was worth it! I mean, just look at all these beautiful moments I got to capture for them! 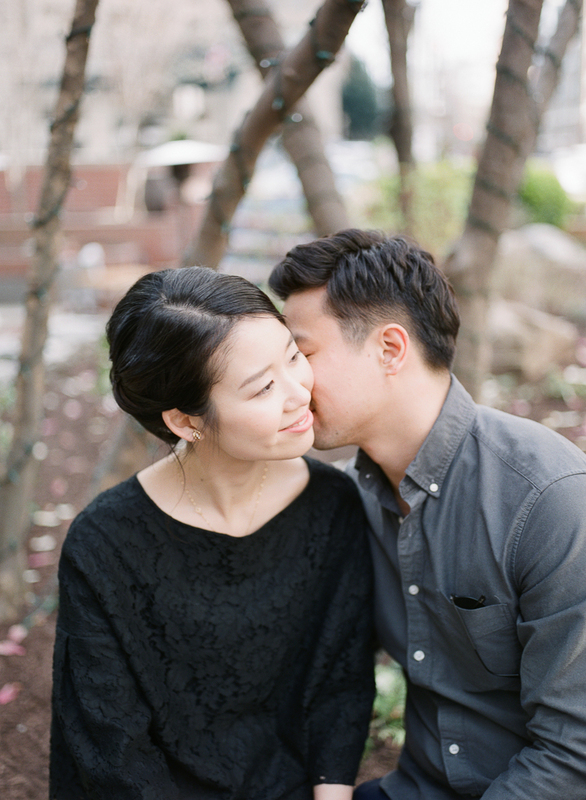 Thanks so much for sharing such special milestone with me, Naoko and Josh! 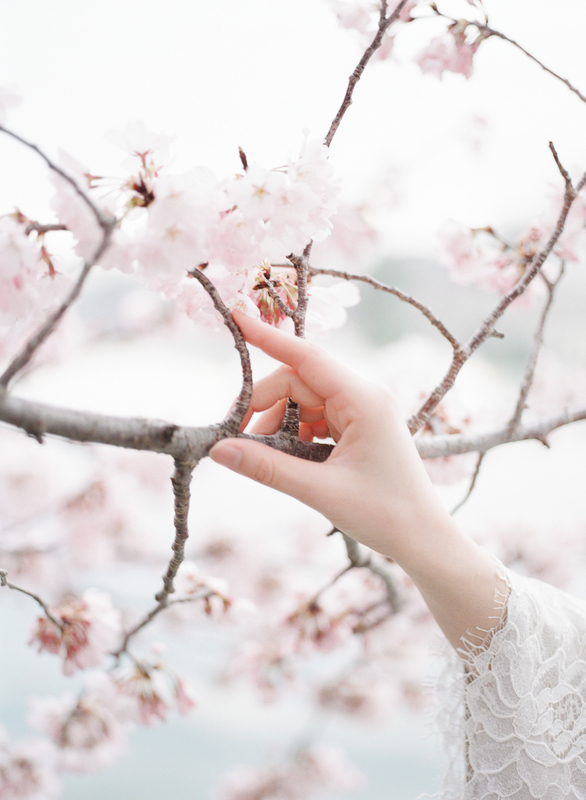 Wishing you the best in your upcoming wedding!